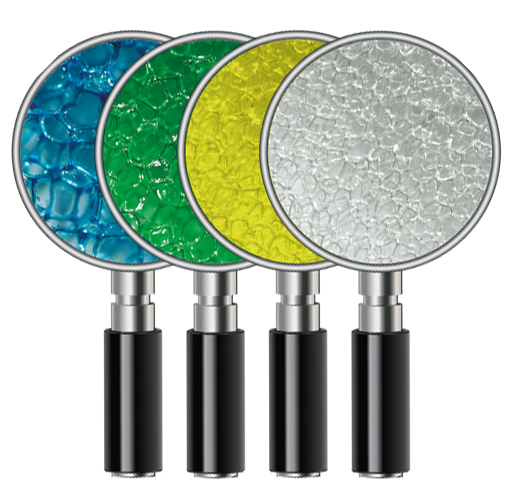 RUPES 7" Foam Polishing Pad Mix & Match 8 Pack lets you choose a mix or match of eight RUPES 7" Foam Polishing Pads to meet your specific polishing needs. The advanced resin and cell structure of the RUPES BigFoot 7� Foam Polishing Pads offers exceptional results in minimal time while reducing the amount of polishing compound needed. 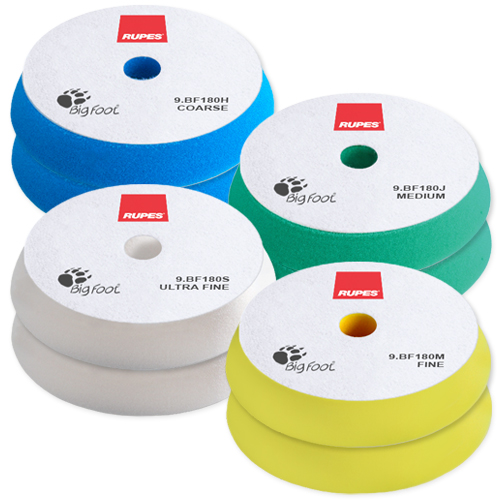 The center hole design of the RUPES BigFoot 7� Foam Polishing Pads offers ventilation through the channels in the face of the RUPES BigFoot 6" Backing Plate to prevent heat build-up and allow minimal downward pressure for optimum results in less time. RUPES BigFoot Foam Polishing Pad cone shape improves the performance of the large throw produced by the RUPES Bigfoot Orbital Polisher and prevents the backing plate from coming in contact with the adjacent surfaces. 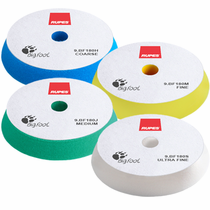 RUPES BigFoot Foam Polishing Pads should be washed after use with a mild soap and warm water by hand or in a washing machine. DO NOT USE fabric softener of any kind. 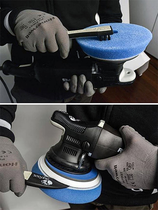 Air or machine dry RUPES BigFoot Foam Polishing Pads on delicate cycle on low heat. DO NOT USE dryer sheets.